Jimmy Fallon, Anne Hathaway Take on Rap Hits With a Broadway Twist on "The Tonight Show"
The pair took on hits by Snoop Dogg, Kendrick Lamar, and 50 Cent. 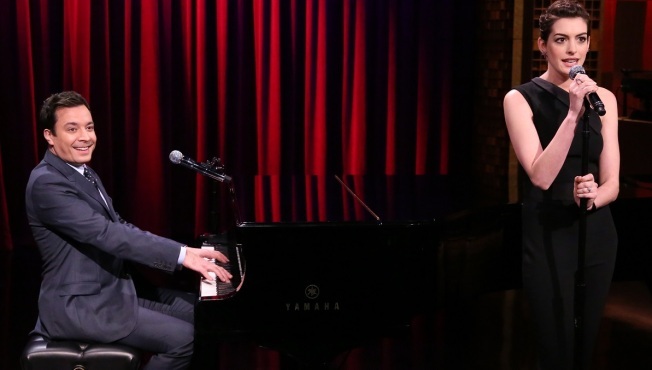 Jimmy Fallon and Anne Hathaway performed Broadway versions of rap hits on Tuesday's "The Tonight Show." The pair sung Snoop Dogg's "Gin and Juice," 50 Cent's "In Da Club," and Kendrick Lamar's "B****, Don't Kill My Vibe"--each with a cabaret twist. 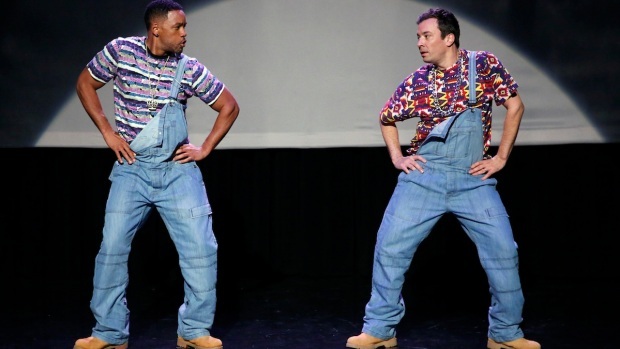 Fallon did a similar performance last year with singer Ariana Grande on "Late Night." 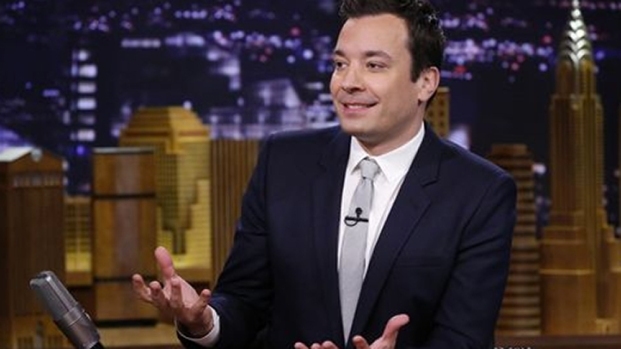 Afterward, Fallon sat down with Hathaway and asked her if she was a fan of hip-hop. "I am a big rap fan," Hathaway said. "Right now I love Kendrick Lamar." Then, Fallon asked if it was true that she almost drowned recently while on vacation in Hawaii. "It depends on who you ask," Hathaway said. "If you ask anybody who was there they'd say no but if you ask the media they'd be like 'Yes! She did! Oxygen tanks had to be brought out!'" The "Rio 2" star said that she got caught in a rip current while taking a swim, but she yelled to her husband Adam Shulman not to panic because photographers were snapping pictures. "I'm just like 'No don't run out, there's photographers you'll make this so much more dramatic!'" Hathaway said. She also said that she cut her foot, forcing her husband to make a decision in front of cameras. Hathaway explained that her husband hesitated to give her foot a kiss after she cut her toe on the beach because he knew their picture was being taken. "I watched my husband have a decision about what type of man he was and he was like 'I don't care'," Hathaway said. He then leaned down and kissed her foot, which cameras did catch. Watch the musical number above. You can also watch the interview below.